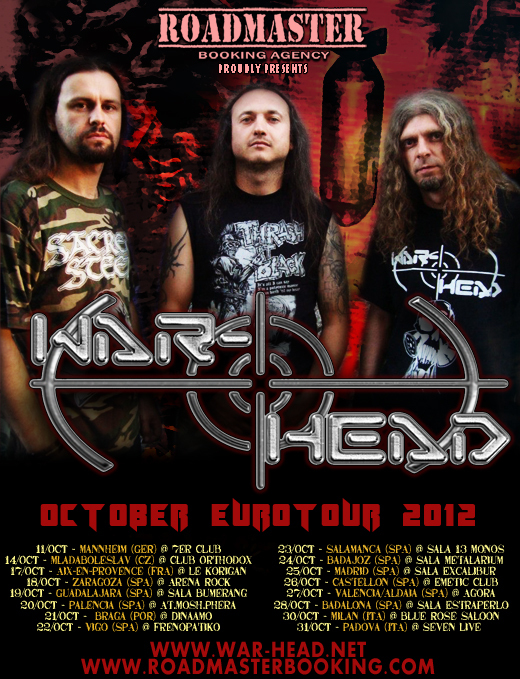 It is with great pleasure that Roadmaster Booking announces the dates of the next European tours of the bands NERVOCHAOS (Bra) / WAR-HEAD (Cro) / MINUS BLINDNESS (Bra). 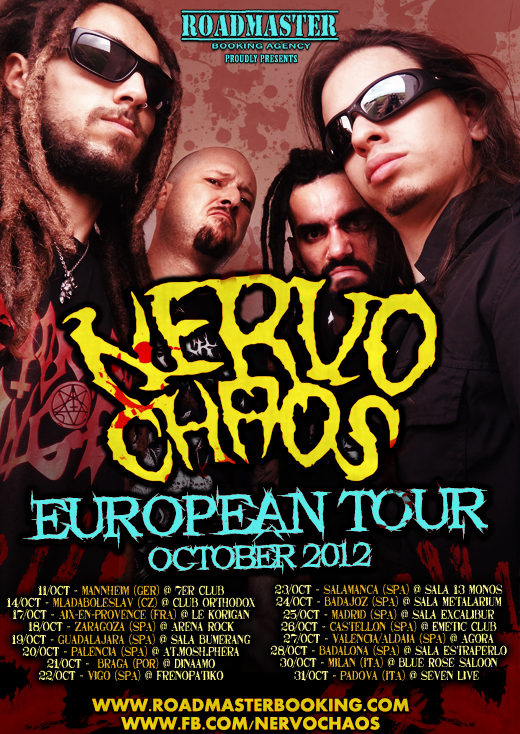 NERVOCHAOS will be returning to Europe to promote its new album “To The Death”, recently released by the Brazilian label Cogumelo Records. The Croatians thrash / death of WAR-HEAD follow continuing the full-length “Still No Signs of Armageddon” and the Brazilians of MINUS BLINDNESS promote their second album “Vile Veil”. 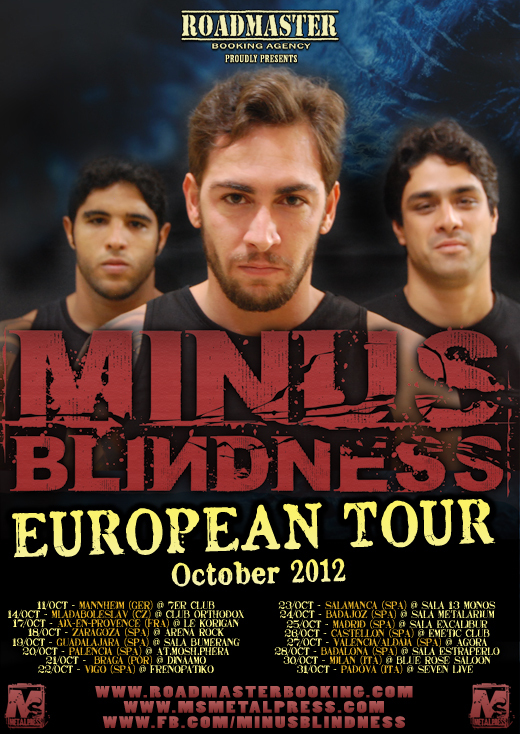 The tour includes 16 shows in 6 countries: Germany, Czech Republic, France, Spain, Portugal and Italy. 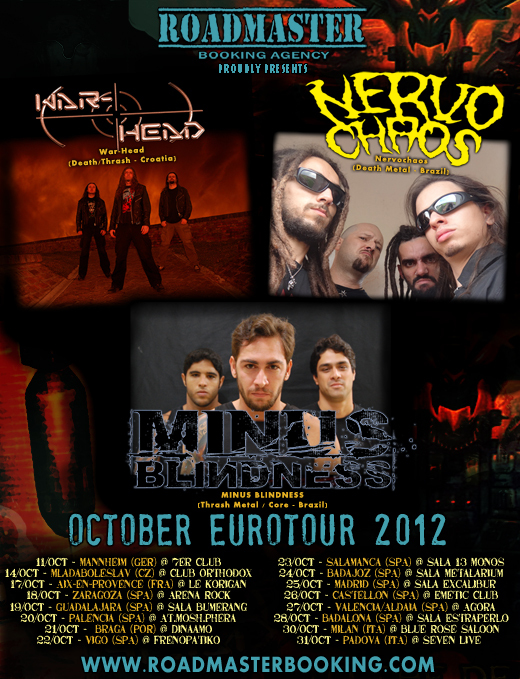 Datas Eurotour 2012 NERVOCHAOS / WAR-HEAD / MINUS BLINDNESS!